Do not manually tilt the sensor, it adjusts automatically. The sensor works best when it is positioned somewhere between 2 feet (0.6 m) and 6 feet (1.8 m) off the floor. 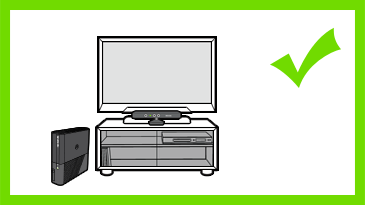 Ideally, the sensor should be within 6 inches (15 cm) above or below your TV. 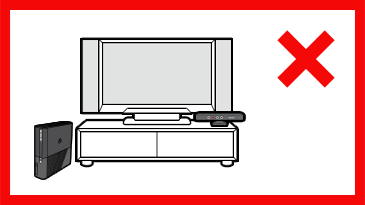 Note In smaller rooms, try to position the sensor as close to 6 feet (1.8m) as possible. 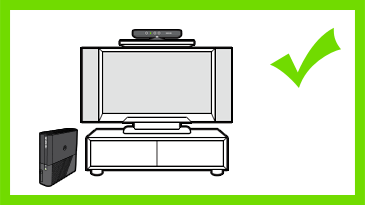 Although the sensor will work if it is positioned on either side of your TV, it will work best if you centre it. 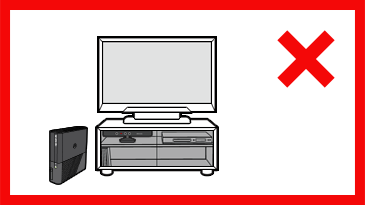 Do not place your sensor on your console, other electronic equipment or anything that vibrates. The sensor cannot see your feet if it is positioned too far back. Do not position the sensor behind cabinet doors (even glass doors) or on a narrow shelf. 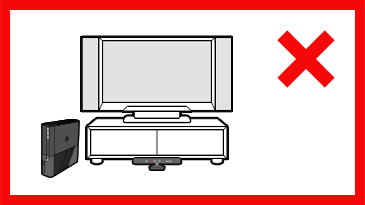 Position the sensor in a place where it can tilt and automatically adjust. Would you like to contact Support regarding the "More about Kinect sensor placement" issue you were reading about or a different issue?